In June Costco began transitioning from its American Express co-branded credit cards to Citigroup-Visa co-branded cards. There were many delays and general confusion surrounding the switch. Now many Costco customers are threatening to cancel their memberships because they are unhappy with the switch to Visa. Two months after the switch was made customers say that major problems have yet to be solved. Costco customers’ biggest complaint is that the two companies (Costco and Visa) are not doing enough to fix unresolved issues. The change from American Express to Visa affected 11 million of the company’s 81 million members worldwide. It also made it so that Visa credit cards are the only credit cards being accepted at the wholesale retailer. While many Costco members were not initially happy with the switch, most of them were willing to stick out the change. However, now that the switch has been made and issues remain unresolved, many customers are reconsidering leaving. At first the Costco Visa issues ranged from simple general confusion to customers not receiving their new cards in the mail. Customers have also complained about not being able to reach a customer service representative when they called for assistance with the new card. Citi CEO Michael Corbat said that the concerns and issues that many customers are complaining about is something that the company will be able to fix in the short order. Costco customers beg to differ though. Corbat made that statement in July and members are saying that no fix ever came and it has led many people to cancel their memberships at Costco. Citi has taken the primary role in the transition as the credit card issuer and the company says that the switch, as a whole, has been a success. In fact, the switch has led to close to 900,000 new application for Costco co-branded cards. According to Citi, the angry customers are a small minority. Citi expected there to be some kind of bump in the road though, given the size of the transition that was to occur. Costco Visa issues persisted after their first strain of problems during the switch, some customers has also had problems with automatic payments. Many people have had their automatic payment setups fail and have been charged interest or even had their credit cards canceled. Other Costco Visa issues include a confusion surrounding Citi’s website, unexpected charges and blocks for people who are traveling. Payments that were made around the time of the transition have also seemed to have been lost and customers have expressed general confusion when it comes to the card’s APR. What is most frustrating for customers is the customer service, or lack-there-of, that many people are receiving. Many of the interactions with Citi customer service have lasted anywhere from several days to one month before anything got resolved (if it ever got resolved). Many customers are waiting to see their next bill to verify that the problems they are having have been taken care of. How will Costco fix its Visa issues? Costco is attempting to better equip its stores to assist its customers with the new cards. Each location hired on about 20 or more employees to help people sign up for cards and answer questions regarding the credit card. Citi has also increased staffing at its call centers. Stories of bad customer service can ruin a company, especially when social media platforms are so readily available for people to sound off on. Costco is a company that relies on customer loyalty and this credit card debacle had got some people nervous about whether or not they should continue their memberships. However, most people have said that they will continue to shop at Costco. Have you experienced issues with the Costco switch to Visa? If so, please leave us a comment below. Visa users and Costco members will reportedly have to wait a little bit longer than they thought for the switch to Visa. Costco’s announcement that they would switch from American Express to Visa in 2015 was a bit surprising for many people. The two companies had paired together before the year 2000 and seemed to be holding strong. However, Costco made the announcement that they would no longer be accepting AmEx and that their co-branded credit cards would switch to Visa. Initially, Costco announced that the change would take place on April 1, 2016. However, they’ve now announced that the switch is going to be pushed back until the summer of 2016. They are hoping that the switch will occur in June or midsummer. This may be good for some Costco customers that haven’t decided what they are going to do regarding the switch to Visa. According to American Express, the change is occurring because the two companies were not able to negotiate terms that made sense for the credit card company. After 16 years of partnership, the two companies decided that it may be time to make a split. However, for 16 years, Costco co-branded cards made up about 10 percent of the company’s users. They will likely have to scout a deal with another large company to make up for the loss. When the companies announced the change last year, Costco made it clear that their would be options for its customers that currently hold Costco’s co-branded credit cards. Now, the contract with AmEx (which was supposed to end on March 31) is going to be extended until the start date of the Visa cards. Costco’s chief financial officer Richard Galanti said that there is a ton of information from the Costco cardholders that has to be switched over. Millions of people will be affected by the switch to Visa. It is just taking a little bit longer than any of the companies involved had initially planned. Galanti is hoping that pushing the switch back until the summer will help the transition be more fluid for the wholesale retailer’s customers. Of course, Costco has only a little bit of say in that. The two credit card companies (American Express and Citigroup) have to make the final negotiations as to when one will stop and the other will pick up. Galanti said that Costco customers can expect to have no gap in the middle (between AmEx and Visa). 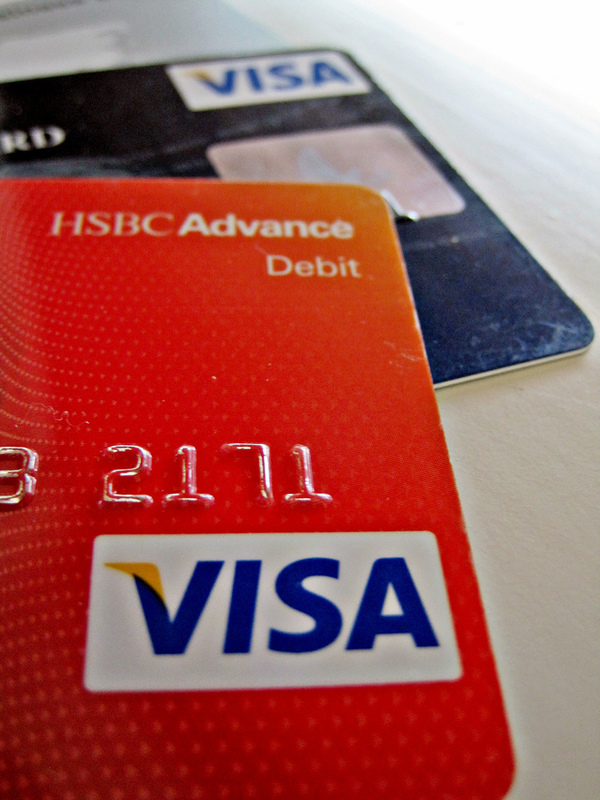 The wholesale retailer is reportedly getting the deal of a lifetime by switching to Visa. It has barely any expenses by switching to Visa while its deal with American Express charged the company 0.6 percent of each purchase. Costco will have the co-branded credit card with Visa and has announced that it will also be taking all other Visa credit cards as well. Its 688 warehouses will greatly benefit from the deal. In August 2015, the company reportedly had over 81 million cardholders and they collected $593 million in membership fees during the last quarter of the year. With memberships continuing to rise, Costco isn’t likely to slow down any time soon.